I didn't cook anything yet for lunch either for me or the kids so here went the leftover for the kids but not enough for me. I was glad I got a stash of dried pork I got from Chinese market called 99 Ranch Market in Irvine. I am a little careful about weight since I just lost 15 lbs of fat past month diet. I so made it better choice I cooked up some brown rice but I think it tastes not bad. 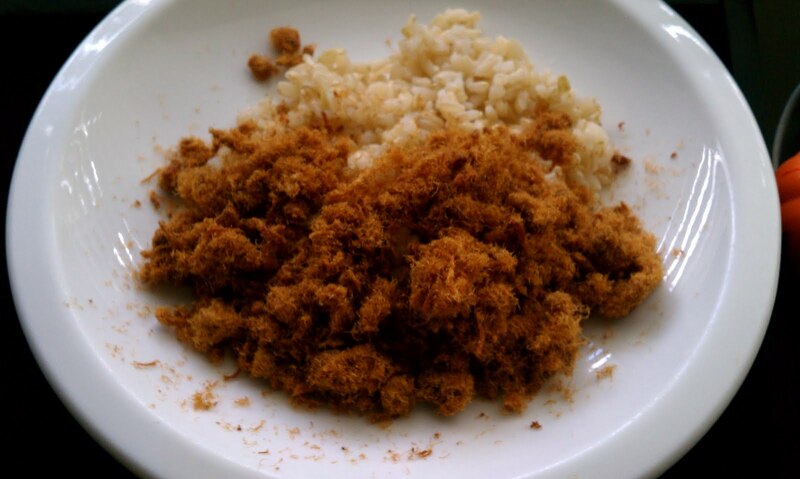 It brought up a fond memory of me growing up just satisfied to have the rice " white rice or sticky rice"and the dried pork. I didn't eat vegetable at all when I was little so this was my typical dish. Hope you have a great weekend and Thanksgiving week to come.